Afternoon reach at Varanasi you will be received by our representative and transferred to hotel by our representative Afternoon sightseeing tour of Varanasi follows. 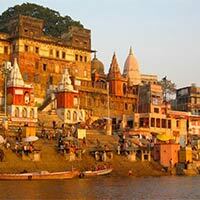 Get a glimpse of the spiritualism at the Ganga Ghats (river front) and also visit some temples on the Ghats. Evening Ganga Aarti Overnight stay will be at hotel in Varanasi. 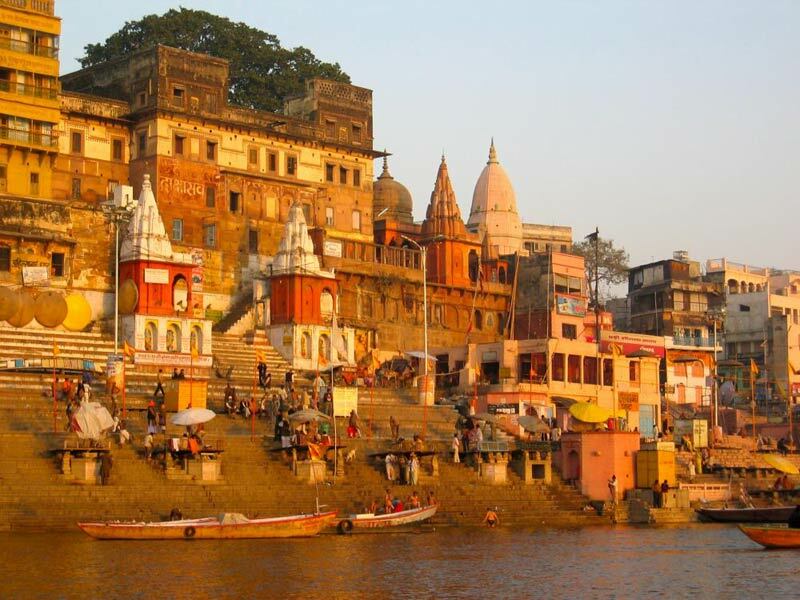 Today you will go on a city tour of Varanasi, covering Kashi Vishwanath Temple, Bharatmata Temple, Sankat Mochan Temple and the Tulsi Manas Temple. You may also explore the traditional bazaars of Varanasi for some shopping in handicrafts and Banarasi Saris. Overnight stay will be in hotel. The day will start with an excursion to Sarnath, the place where Lord Buddha delivered his first sermon. Places of interest at Sarnath include various Buddhist temples, Dhamekh Stupa, Mulgandh Kuti Vihar and the archaeological museum. Overnight stay will be in hotel. Breakfast will be followed by a boat ride on the river Ganga, to get a real sight of what Varanasi is all about. In the afternoon, you will be proceeding towards the airport to board the flight for Home.